You can't teach an old dog new tricks - but you can give them a boost with Smart Pet Ramp. 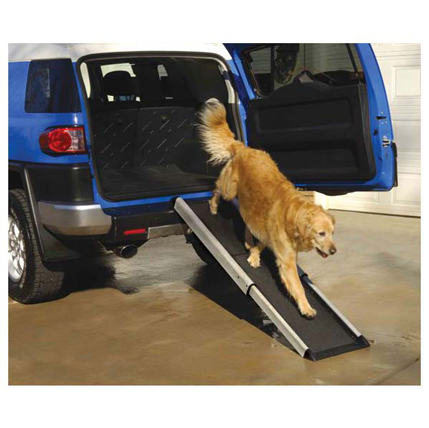 The Shur-Foot tread surface and non-slip feet ensure a safe, sturdy climb, and the ramp greatly reduces joint and back strain for elderly pets. Perfect for smaller dogs. Telescope mechanism - extends from 42" to 70"